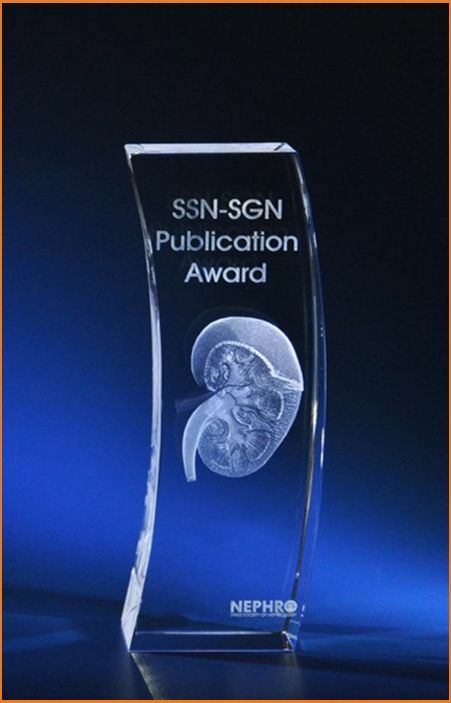 The SGN-SSN Publication Award is presented at the SGN-SSN annual meetings. 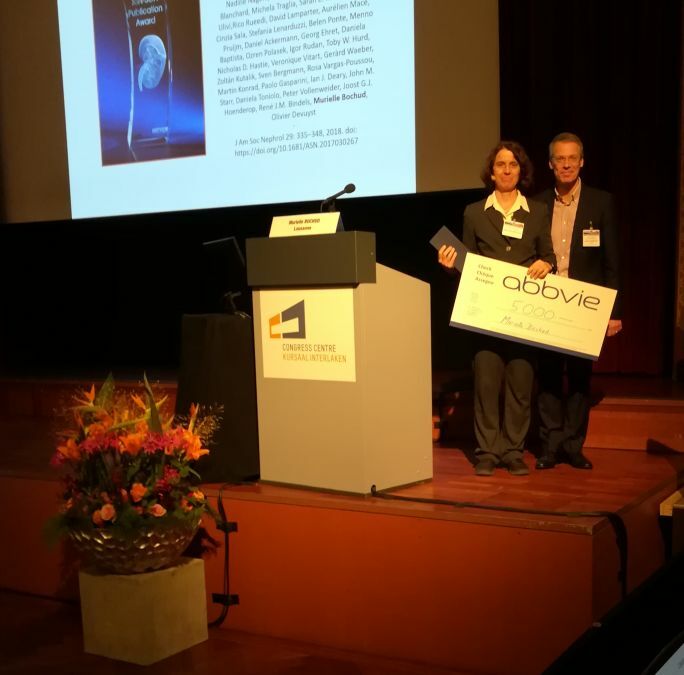 This prize is supported by a generous grant of AbbVie and shall honor the best Nephrology Original Article in clinical and/or basic research. Astrid Starke, Alf Corsenca, Thomas Kohler, Johannes Knubben, Marius Kraenzlin, Daniel Uebelhart, Rudolf P. Wüthrich, Brigitte von Rechenberg, Ralph Müller, and Patrice M. Ambühl. Correction of Metabolic Acidosis with Potassium Citrate in Renal Transplant Patients and its Effect on Bone Quality.